Did you all get your signed copy of Traditional Interiors ? If not, we have one waiting just for you. In honor of October, we photographed our copy nestled among a mélange of orange and coral items. Small hand-embroidered fingertip linen towels are $52. each. The Porthault Sacré Coeur embroidered hankie is $50. 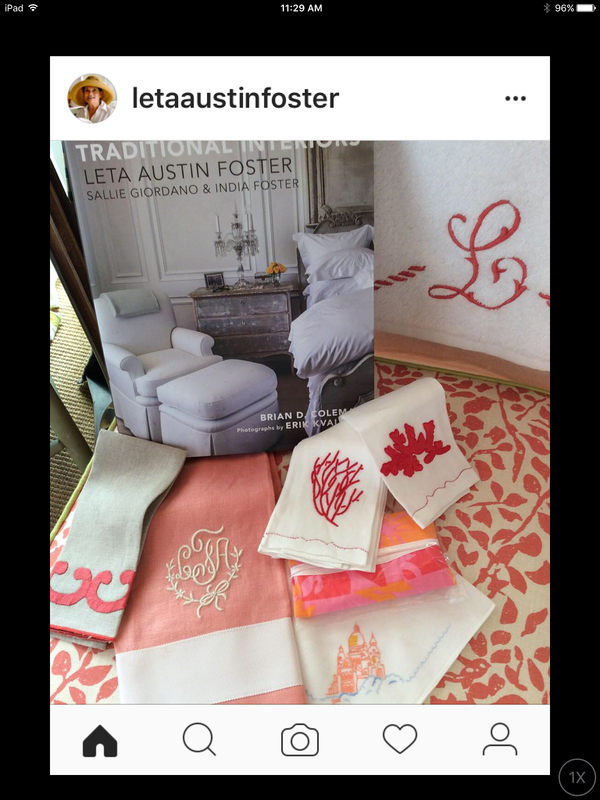 Little fabric-covered tissue pack is $24., and the Monogrammed linen guest towel is $122. Quintessance candles from Paris are a superb luxury that can quickly become a necessary staple. We are the only shop in the U.S. that imports them, so get your fix today. We carry Tubereuse, Bois Pamplemousse, Pierce Neige and Figuer in stock and can order you any of their other fragrances to try. 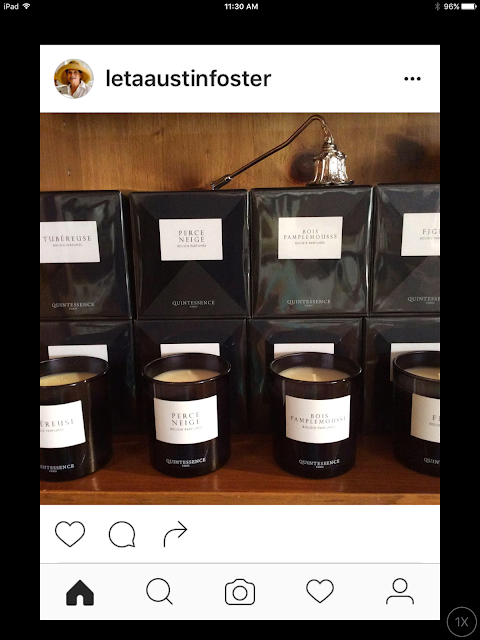 Standard candle is $90. 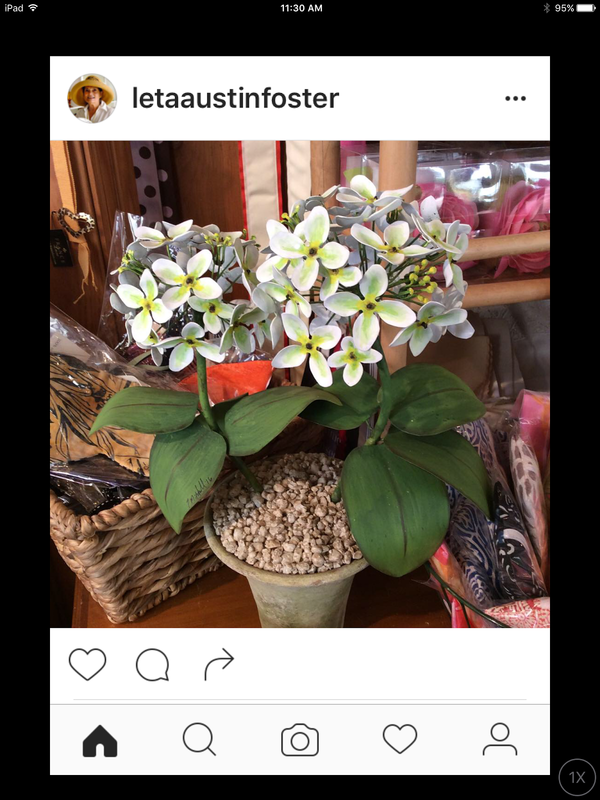 Beautiful tole hydranges in a flower pot are delicate looking but touch-friendly. Unlike their porcelain cousins, they do not break when you look at them. $1,050. Well, our friend, Mary, has come up with another winner in the notepad department. This is the girl that gave us the idea for the Queen notepads that we have become infamous for. 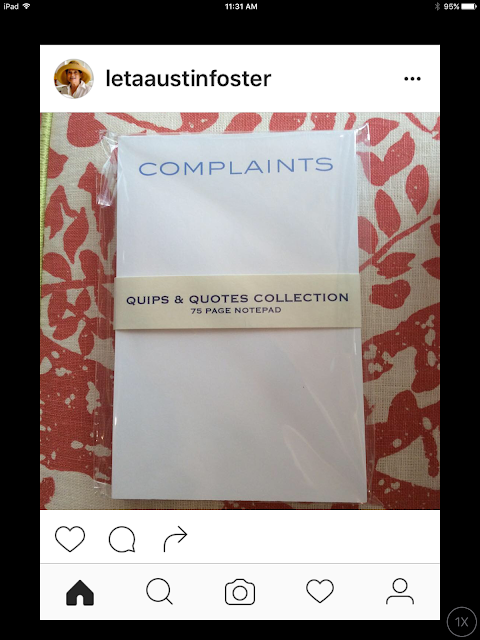 She requested this notepad so she could put one in each of her guest rooms...what a lark !! 75 page pad sells for $28. We stock the blue, but can print them in any color. 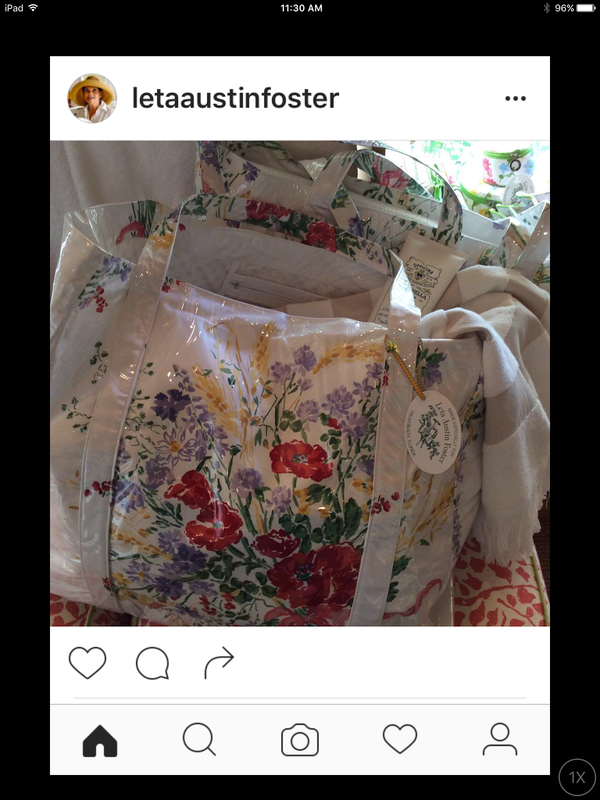 We had these great beach totes made from a classic Porthault fabric that we found. Once we posted them on Instagram, they sold out within 2 days. There is a little bit more of the fabric left, so if you'd like one, let us know and we will make one for you. $300. We also have a bit of the Blue Coeurs fabric and can make you a tote from that as well. $400.